It is difficult to do it right. But once you have set up a good lead generation strategy, you will reap the rewards for years to come. You will bring in a regular stream of new leads into your business and then reliably turn a good percentage of them into qualified prospects for your sales team to work with. And what is more, if you take a digital approach to generating new leads, then you will be able to build a cost efficient and scalable system. To successfully generate and nurture leads in the digital space, you will need to have a suite of engaging content, a search engine optimised (SEO) website and an automated nurture program. Let's take a look at each of these elements. You should create a portfolio of content which is relevant to your business offering and which will add value to your reader. If you run a landscaping business, then perhaps you could write a guide on ‘how to choose low maintenance plants’. By writing content which helps leads in your market, you will be in a good position to get their attention and build trust. - Make sure your content uses the same language your leads are using. If they search for ‘budget lawnmowers’, then you will need to (sparingly) use that phrase in your content. - Follow best practice technical advice. Google likes it when your website is set up in a certain way – keep your title tags to less than 60 characters, add alternative text to your images and avoid using iFrames in your HTML. - Share your content with popular sites and ask them to link back to your website. If you get backlinks from high credibility sites (such as newspapers), then you will gain credibility with Google and your content will rank higher. You will want to place some of your content behind gates. This means that your leads will have to give their email address in return for access to the content. Once you have their email address and their permission to contact them, you can set up an automated nurture program. You’ll be able to send them a series of further emails with relevant content to keep them engaged with your brand and to prove yourself as an authority in your market. After a while, you will find that some of your leads will have opened and read more of your emails than other leads. These leads will be your sales qualified prospects! 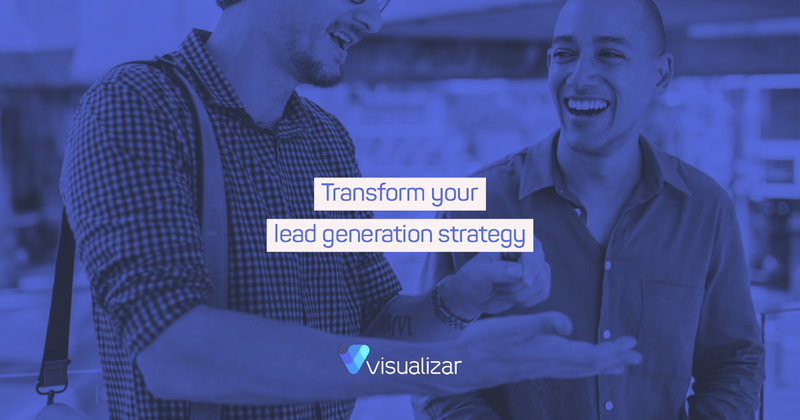 Contact us at Visualizar today for more lead generation tips and advice.